Posted on March 4, 2015 by Martha Jones in Gallery. 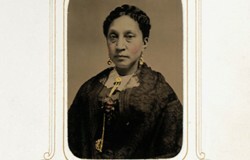 Arabella Chapman. Tintype. Album 1. Page 60. Same as Album 1. Page 13. 1.57. Man with silk tie. 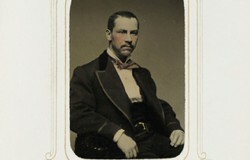 Man with silk tie. Tintype. Album 1. Page 57. Mrs. Smith. 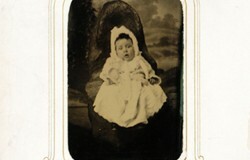 Tintype. Album 1. Page 35. 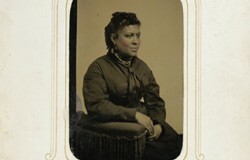 Woman seated. Tintype. Album 1. Page 31. 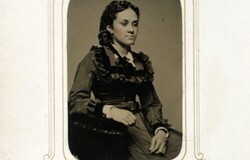 Claribel Miller. Tintype. Album 1. Page 24. 1.16. Girl in plaid dress. 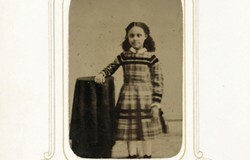 Girl in plaid dress. Tintype. Album 1. Page 16. 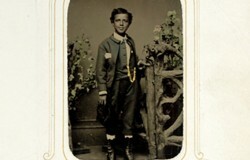 Boy with flowers. Tintype. Album 1. Page 15. 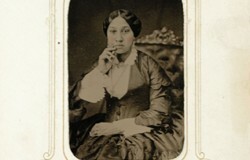 Woman seated. Tintype. Album 1. Page 14. 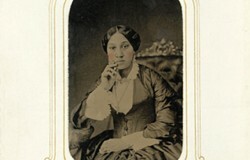 Arabella Chapman. Album 1. Page 13.